In our previous blog post entitled Free Ebook: Supercharge Your Apps with Embedded Analytics, we explored the vast benefits of leveraging embedded analytics in your custom apps. By embedding analytics directly in your applications (rather than having your users go to a separate system or dashboard to access them), you not only make your end users’ lives much easier, but you also increase your application adoption and overall end user satisfaction. 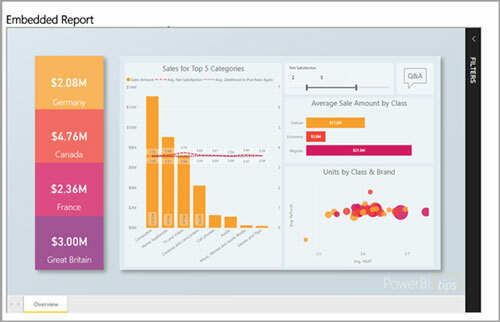 And what better way to embed analytics in your apps than with Microsoft Power BI Embedded. 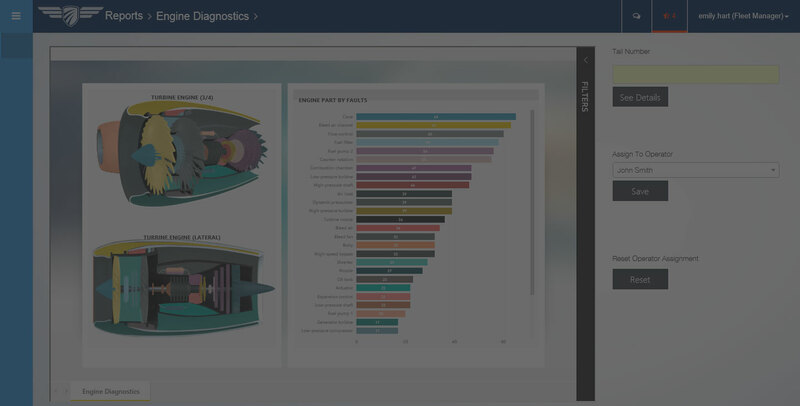 Microsoft Power BI Embedded allows you to embed stunning, fully-interactive visuals (such as dashboards, charts, reports, tiles, and more) into your apps without building controls from the ground up, saving you both time and energy. First, you will need at least 1 Microsoft Power BI user that has a Pro License. This particular account is considered the Master Account and acts as a proxy account between your custom application and Microsoft Power BI. Everything needed for Power BI Embedded to work is funneled through this Master Account. If you’re not yet signed up for Power BI Pro, you can sign up for a free trial here. All of the content that you are going to embed will need to be placed in a designated App Workspace within Power BI. In addition, the Power BI Pro master account (from Step 1) needs to be an admin of that App Workspace. Keep in mind that you can set this up several different ways. For example, you can have 1 App Workspace for all your content. Or, if you have multiple customers who use your application, you can have a different App Workspace for each customer. For more information on how to create and setup your App Workspace(s), take a look at some of the new Power BI Embedded tutorials from Microsoft here. Next, you are going to need capacity. Capacity is dedicated resource that you can use to help render and run your reports. The good news is that you can create Power BI Embedded capacity directly inside Microsoft Azure through the Azure Portal. For step-by-step instructions for how to do this, visit Microsoft’s new tutorial here. Power BI REST APIs – These are the main APIs that you use to interact with Power BI. Because these are REST APIs, you can use these on any platform, regardless of your coding language. Power BI .NET SDK – If you’re using .NET, this is a NuGet package you can download and use with your application that wraps the REST API calls in order to make them a little easier for you to manage. Wait… This Sounds Complicated. Can Imaginet Help? If you’re ready to embed beautiful, fully interactive reports and visuals into your own custom applications, but you don’t want to do it yourself — don’t worry. Imaginet’s Application Development and Power BI experts are here to help. From initial planning sessions to the detailed development expertise needed to work with the Power BI Embedded APIs and SDKs, Imaginet can help you successfully supercharge your new or existing applications with Microsoft Power BI Embedded analytics. Contact us today to get started.